An annoyance for proponents of fish-to-fish warden evolutionists and other deep time enthusiasts are accounts of dragons in history. Remember, the word dinosaur had not been invented yet. The Bible also describes some critters that are only known to paleontology nowadays. After all, the Bible is a reliable history book. If you get a notion to head to England, then go north, you can find Carlisle Cathedral. (If you reach Lockerbie, you've passed it.) Why? Well, it's ancient, construction was begun in 1122. But for our purposes, there's the easily overlooked tomb of Bishop Richard Bell — it's under a rug in the floor. Etched in the brass are several critters, including some dinosaur-looking beasties. Long necks that look like they're dancing at a hootenanny, or maybe it's a bit of rasslin'. (I'm bringing that last one up because giraffes fight each other with their necks sometimes.) 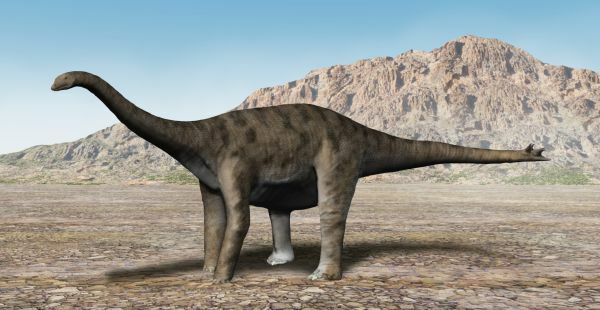 The creatures have spikes or clubs on their tales, which is something unknown on sauropods until 1989. The bishop was buried in 1496. While Darwin devotees will hand-wave this as something fanciful, it is very interesting to Bible believers. We don't know what lived in England at that time, but indications are that various dinosaurs migrated after the Genesis Flood to many areas. We do know, from Scripture and scientific evidence, that not only was life created, but the earth is far younger than secularists want to believe. Within Bishop Bell’s tomb decorations, we saw true-to-form carvings of normal animals like an eel, a dog, a fish, and a bird. Others were trickier to identify, but none of them looked childish or fanciful. I took a closer look at the two dinosaur look-alikes. The palm of my hand could cover the whole design. It shows two long-tailed creatures with legs that go straight down like dinosaurs’ legs did, rather than angling to the side like those of modern crocodiles. Their long necks intertwine in a reptilian wrestling match. If I were trying to etch two sauropod dinosaurs in brass, I would carve something just like this. To read the entire article, click on "Did Medieval Artists See Real Dinosaurs?"